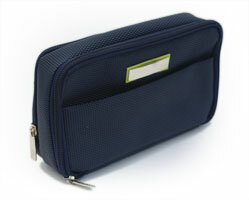 AVID offers a variety of amenity kit options from first class to economy. We maintain regular stock of a number of amenity bag options in our warehouse in Rhode Island. We can also produce any amenity bag to your required specification. Please contact us for more information regarding amenity bags and items available to be packed into the kits. AVID’s world-wide warehousing proves to be an industry advantage. With warehousing and storage capabilities out of our headquarters in Middletown, Rhode Island along with our remote warehousing world-wide we are able to store custom stock for clients along with stocking standard items for any clients stock needs.